If you are currently losing weight, you are probably very familiar with your set of scales. After all, aren’t these the best ‘indicator’ you have to see if you are losing weight successfully? Well, unfortunately, they are not. 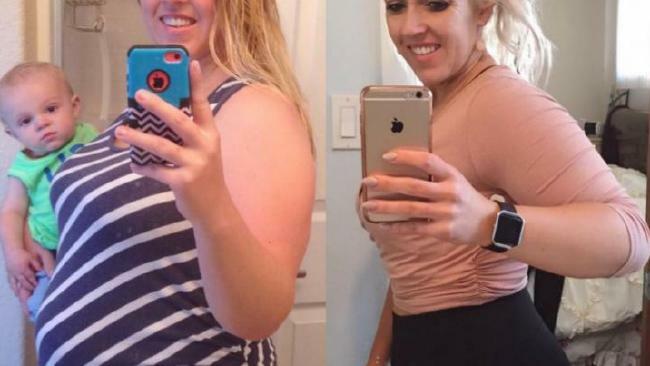 Just check out the photo below – how much weight do you think this woman lost? Adrienne has basically hit the gym and built quite a lot of muscle (while losing a huge amount of fat) – the results are stunning YET if we were only going on what the scales were telling us, we would be thinking , ‘how disappointing, she didn’t even lose a full kilogram’. You hear it all the time, but it is true: exercise that involves resistance training will certainly help you to shred fat and strengthen muscles: but muscle is much heavier than fat! At The Natural Way, are not big fans of the scales. Don’t get me wrong, we definitely weigh our clients but more importantly, we measure our clients every week. The tape measure is a much more accurate guide to how the weight loss program is going. Better still, the best monitor of your weight loss is your clothes – try on a pair of jeans that are tight and keep trying them on once a week, every week to see that you are losing weight. Or notice if you can tighten your belt by one more hole after a couple of weeks. These are actual physical signs of your body changing shape: who needs the numbers on the scales (which are often inaccurate), when you can gauge it with your own garments? I do believe that part of the problem is that any weight loss ad you see on TV usually features women (e.g. current Jenny Craig ad featuring Mel B). Also, weight loss companies are just pitching their ads to their target market – which is obviously women – so that creates a vicious cycle of men thinking that going to seek professional help to lose weight is just a ‘girl thing’. 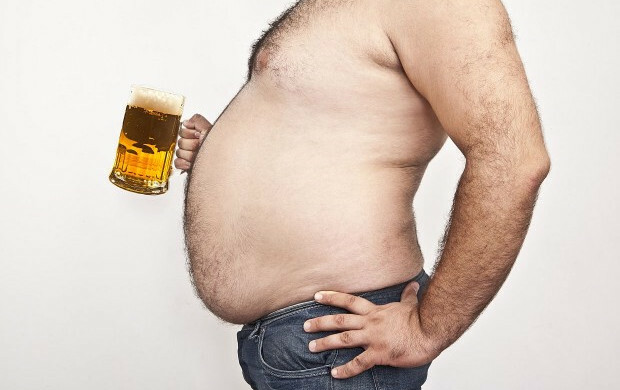 There is a social aspect to men and weight loss as well: when the boys get together, it tends to be about having a laugh and enjoying a beer (or 3). The thought of a bloke giving up beer for weight loss can sometimes be equated to asking him to remove a limb – how can you possibly have a good time without beer? So are men just ignoring their weight issues? You could say that! But how can you ignore that fact that being overweight increases your chance of developing type 2 diabetes, heart disease, certain cancers and sleep apnoea. However, males who are overweight are prone to sexual dysfunction and fertility issues: if that isn’t enough to make a male lose weight, then nothing is! So Aussie men, it’s time to stop the obesity tidal wave: firstly, do not accept that being overweight is ‘normal’. It’s not, and if you don’t lose weight before starting a family, you may find it difficult to even become a father. At The Natural Way, our programs cater for BOTH men and women – we even have a program where blokes can eat bacon and eggs for breakfast (and have the occasional low-carb beer, but scotch and soda is fine!). Sounds too good to be true? It isn’t! So get on the blower now and call 1300 SLIMMER (754 886) and make a FREE appointment to find out more. After 35 years of helping Aussie men AND women lose weight, we know that we can help you too. Exercise: we all know that it can help you to achieve your weight loss goals much quicker, but there has long been debate about WHEN is the best time to exercise. This week, we want to help you decide by weighing up the pros and cons of each option. Nothing like a run at sunrise to make you feel awake! If jumping out of bed to exercise before work is your style, you may find much more success in actually ‘fitting in’ all the sessions you want over the course of the week. This is because mornings are the time when people have the least amount of obligations and / or interruptions which may prevent them from getting their workout in. How many times have your best laid plans to exercise in the afternoon been disrupted by unexpected delays? Unfortunately, it happens. 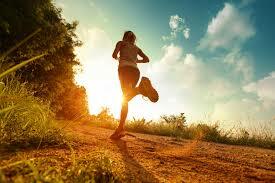 Also, if you exercise in the morning, you are really giving your metabolism a big ‘kick start’ for the day. This is great as it makes your ability to burn the calories from the food you eat throughout the day much more efficient. Finally, if you exercise on an empty stomach in the morning, you are far more likely to burn stored fat rather than calories from the meal you just ate a few hours before: but you must have breakfast after your workout, otherwise you will ‘hit the wall’ by mid-morning. Afternoon workouts are a great way to ‘cut off’ from your workday i.e that is, once you leave work you can focus on your exercise session (which tends to help you forget your day). This can actually help you to burn fat more effectively, particularly if you had a tough day in the office. You see, when you are stressed, you produce the stress-response hormone cortisol. Unfortunately, high levels of cortisol means that you store more belly fat (eek). So hitting the gym at the end of the day helps to ‘burn up’ cortisol very quickly! Better still, if you have a particularly hard workout, your brain will produce mood-enhancing endorphins: these are responsible for that ‘natural high’ you get after exercise. So what is better – exercise in the morning or at night? While both have their advantages, the most important factor in creating an exercise routine that results in weight loss is finding times to sweat that best fit into your personal schedule. The best time for you to work out is when you feel the best physically and mentally. So if you are not a ‘morning’ person, don’t push yourself to train in the morning: you will hate it and this just creates more stress that your body doesn’t need. For some expert advice on achieving your slim body for life, call your nearest The Natural Way clinic on 1300 SLIMMER (754663) today! We have helped thousands of people lose weight for over 30 years, and we know that we can help you too. How many of you have heard this quote before: ‘Failing to plan is planning to fail’. When it comes to weight loss, this is most definitely true. In my experience, the clients who get the best results with a The Natural Way weight loss program are those who are the MOST organised. Read on to get some tips on how to plan better so the scales show you the results you want. 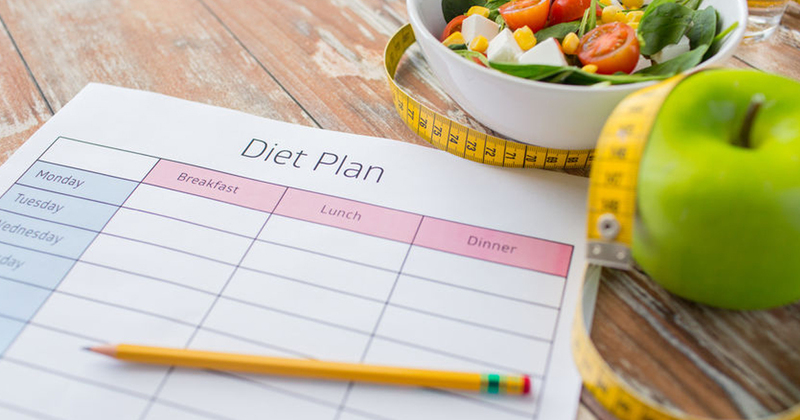 The most important thing to do is really understand your eating plan. If you have a question (no matter how silly it seems) be sure to ask your The Natural Way weight loss consultant so you are 100% clear on what you can and cannot eat. If you have a question after you have left the clinic, feel free to call / text or email your consultant as our main priority is to ensure you know are ‘on board’ with the program. Once you understand what you can eat, spend some time on Sunday getting organised for the week. Work out the meals you are going to have and then visit the supermarket to buy everything you need (or if you have no time, order the groceries you need online & get them delivered that day) and begin to prepare all the meals you can on that day. Even go as far as preparing your vegetables – chop up the ones you need each day for lunch and dinner and store in a labelled zip-lock bag / storage container and store in your crisper. This makes it easier in the morning to grab your lunch as you leave the house AND helps you cut down on preparation time at night when making dinner. While making your dinner at night, be sure to read over and plan what you have to eat the next day. This way, you can prepare and pack your lunch and snacks while you are making dinner. Preparing everything you need to eat the night before gets your head in the right space for the next day and saves a LOT of effort the next morning (especially if you always run out of time during that very hectic start of the day). To find out more about our all-natural weight loss program, call your nearest clinic on 1300 SLIMMER (1300 754663) and make a FREE appointment. We have been helping our clients’ lose weight for over 35 years, so we know we can help you too! There is nothing worse than having a plan to eat healthy all day and then, at morning tea, someone in the office is having a birthday. Next thing you know, you find yourself enjoying a piece of birthday cake…so much for your good intentions. While you may not have anticipated eating the cake, it is certainly not the end of the world. 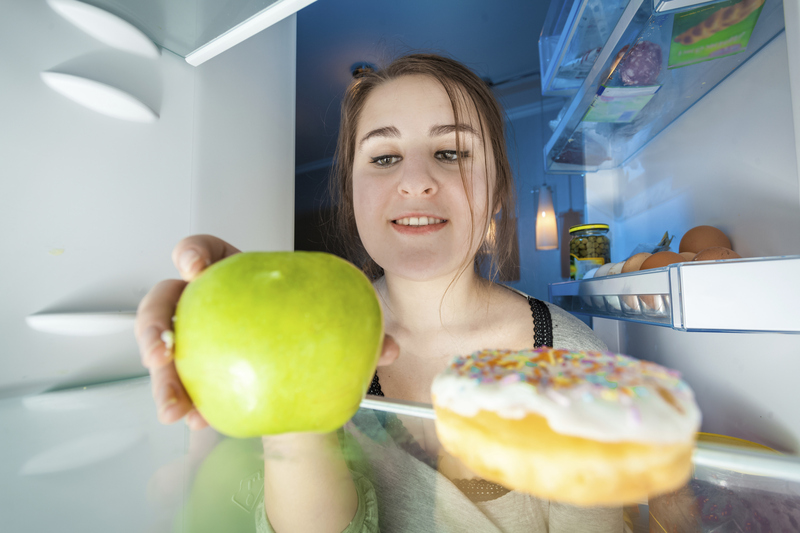 This week , we will examine how best to deal with the ‘aftermath’ of a making a bad food choice. First things first: do not let one bad ‘slip-up’ become a reason to have a bad food day. For example, you may go out for breakfast and think ‘oh well, this is a treat, I am just going to have whatever I want’. While 2 lattes and a full breakfast may not have been the best choice, this should be the ONLY bad food choice you make for the day. Too many times I see clients who say, ‘ I had a piece of cake for morning tea so I may as well eat whatever I want for the rest of the day and start again tomorrow’. Suddenly they are feasting like it’s Christmas Day, with the vow to go back to being ‘good’ tomorrow. NOOOOOO! One bad meal won’t kill your results, but a bad day puts you back a week. And one ‘bad’ day a week is going to have a huge negative impact your results. If you do eat something ‘bad’ – savour it. Don’t scoff it down because you are so wracked with guilt about eating it. Enjoy it but also acknowledge that you won’t be doing that again for a very long time. Do not get on the scales at home after you have eaten something bad! It can be very demotivating as you can put on up to 2kg (depending on what you ate and how much). Your body is simply bloated as it is not used to eating rich, sugary foods: it is not as if you have had an ‘instant’ fat gain after one slice of cake. The best way to manage the fallout from your bad food choice is to drink plenty of water (to ensure you ‘flush’ the ‘bad’ food through your digestive tract), do some exercise that day and stick 100% to your eating plan for at least the next 3 days! Eating healthy should not be an ‘all or nothing’ thing: you don’t need to be on a constant diet to stay healthy, instead you should be adopting a lifestyle choice to always eat well (with the occasional treat to keep you sane). The Natural Way is not a ‘quick fix’- we are dedicated to educating clients and creating a weight loss programme that incorporates your current lifestyle with new healthier choices. Our clients learn to cook new meals that the whole family can enjoy using fresh food and adding an appropriate level of exercise to your day. This is far more successful for long term weight management. Should I Try a Ketogenic Diet? Lately, I have noticed that there has been quite a bit of publicity being given to the Ketogenic Diet. It seems that it’s the latest ‘buzzword’ in weight loss, but do you know exactly what it is? This week , I will give you the basics on the Ketogenic Diet including why you should give it a try! A ketogenic diet is a diet low in carbohydrates, but contains a higher amount of fat and protein. The reduction in the consumption of carbohydrates places the body in a state of ketosis, which is a metabolic state where stored fat provides most of the fuel the body requires to function. Why is stored fat providing the fuel? Our body uses the carbohydrate we eat for fuel by breaking it down into its most simple form (which is glucose). So if you restrict the amount of carbohydrates in your diet, your body is forced to find a new source of fuel: and that is stored fat. Ketones are the by-product of burning fat for fuel, which is why it is referred to as a ketogenic diet. Ketogenic diets are a great way to lose weight without feeling hungry. This is because protein & fat are also very ‘filling’, so even the biggest appetites find they are not hungry on a ketogenic diet. Be aware, that when reducing carbohydrates, you may see the number on the scales go down quite quickly. This is because the body will lose water as a result of carbohydrate stores being used up, so it is really important to drink plenty of water when on a ketogenic plan. More and more research is finding that low carbohydrate diets are the most effective for weight loss, particularly in severely obese individuals. While this is a great way to lose weight (and you will), it really is not a ‘forever’ diet. So if you lose weight following these principles, you need to be very careful about introducing ‘good’ carbs back into the diet as if you go ‘too hard, too soon’, it is too easy to regain your lost weight. So the best way to get lasting results on a ketogenic diet is to visit The Natural Way. We have a Quick Start program which is our own user-friendly version of a ketogenic diet. It’s not all about Quick Start though: we offer you a personalised selection of 100% natural formulations that will keep your body healthy while you lose weight as well as weekly, one-on-one support throughout your weight loss program and FREE maintenance. That means once you reach your goal, you are a client for life and we will make sure you never put your weight back on with education and ongoing monthly check-ins (so you are accountable for your actions). We are four weeks into 2017, so I am hoping that those of you who wanted to lose weight this year have well and truly started your weight loss program. And if you haven’t, I want to know why not? It’s really easy to say you want to lose weight – but let’s face it, it’s much harder doing it. If you really want or need to lose weight but keep putting it off until tomorrow, next week, or even later in the future, you’re not serious about weight loss. The fact of the matter is that there is no perfect time to lose weight: you will always have to deal with stress, special events (like weddings, birthdays etc), work and just life in general. 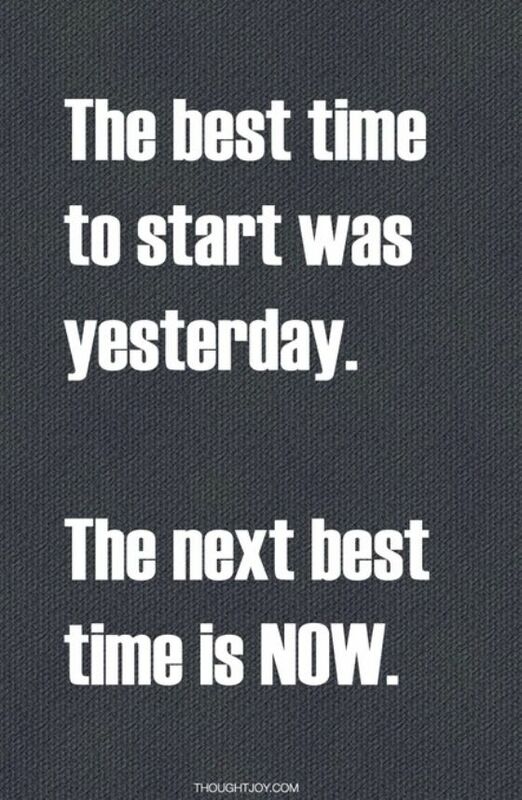 So there’s no better way to get started than to jump right in today. The best way to get started today is to tell someone about it – let your partner and / or family know that today is the day you are committing to being healthier, so they can support (or maybe even join) you in your quest to lose weight. Also, take time to think about your goals and write them down: what weight would you like to be? When would you like to achieve your goal by? If the long term goal is too big, break it down into smaller ‘mini’ goals e.g. you would like to lose 6kg by the end of February. Finally, think about some behaviours you need to change in order to reach your goals – for example, it may be getting out of bed 45 minutes earlier everyday to go for a walk and making sure you drink at least 1.5 litres of water a day. By sharing your weight loss journey, making goals and committing to healthier behaviours, you will stay accountable and be in the right ‘head space’ to achieve your dream weight. If all of this sounds great in theory but impossible to put into practice, then you need to procrastinate no more and phone The Natural Way (call 1300 754 663 to speak to your closest clinic). Our professionally trained consultants know how to motivate you from day one so you can feel constantly guided and supported all the way to your goal weight. So if you have the ‘will’ but not the ‘will-power’, we can help you today. After 35 years of helping 1000’s of Australians lose weight, we know we have a program that can work for you.